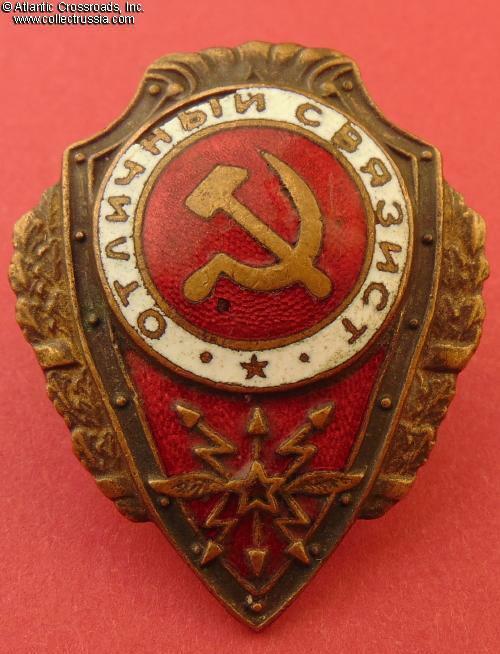 Excellence in Signal Corps badge, ZhRPT Factory, mid-1940s. Brass, enamels; 45.8 mm x 37.3 mm. 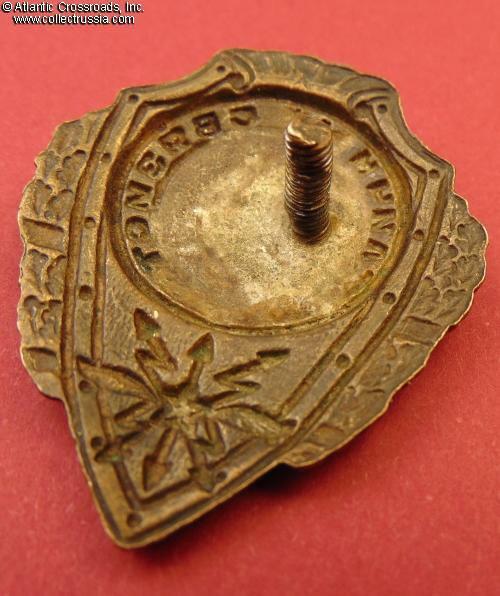 Early type featuring elongated shield and domed center medallion. Upper scrolls form a wavy outline on the top edge of the badge. This version is listed as NKPS production in the Airapetyan's book, but we believe that this particular piece was made by the ZhRPT Factory. In very fine condition. The enamel is very well preserved overall, free of any glaring damage. There red enamel in the center has only small scratches and contact marks, no chips or significant flaking. 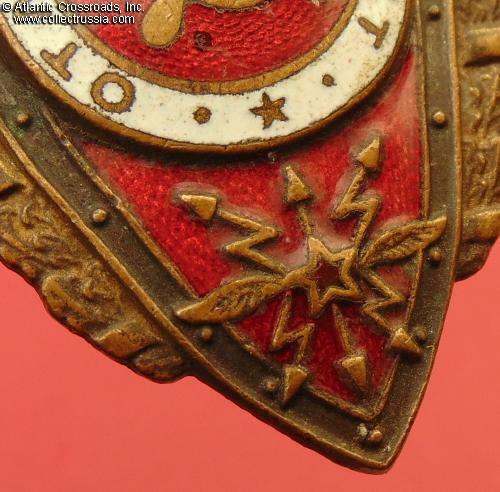 The red enamel in the lower portion of the shield is perfect. 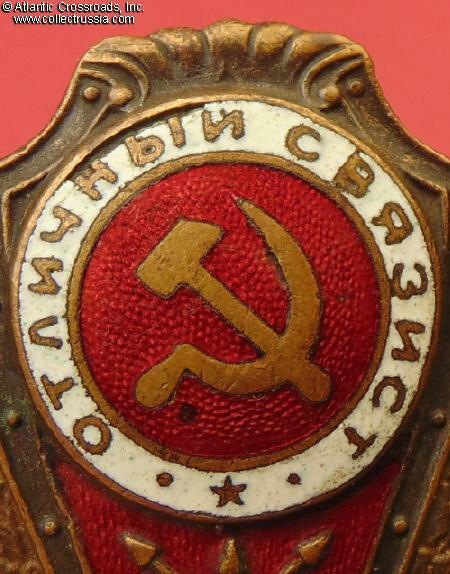 The red enamel still shows very attractive luster both in the center and lower part of the badge. The white band has a small, very narrow chip along the outer edge at approximately 9 to 10 o'clock segment, not too noticeable. There are also a few tiny flakes and rubbing to the white enamel throughout. The details of the wreath are nicely preserved and crisp. Almost all of the original grey finish along the edge of the shield is intact. 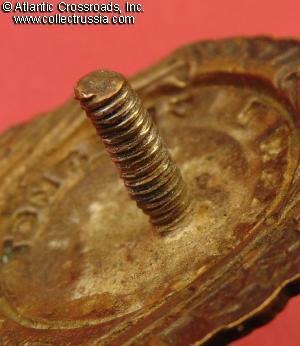 Note the off-center location of the screw post, which is observed sometimes on badges produced in haste during the war years. The screw post is full length, approx. 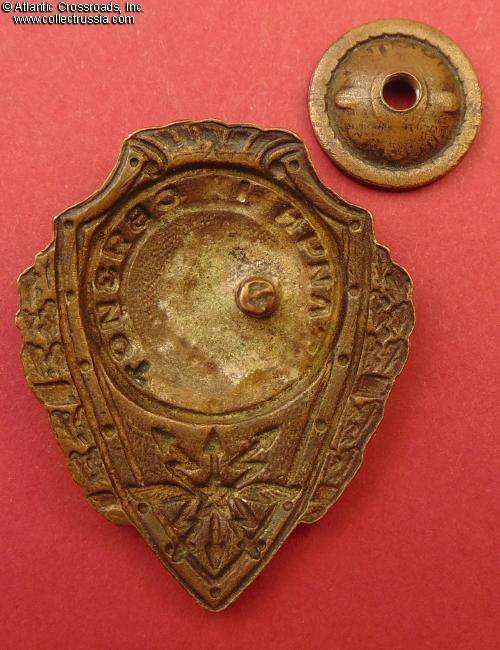 12 mm, and comes with a perfectly fitting wartime screw plate marked "ShED - ZhRPT" which is correct for this badge and possible original to it. 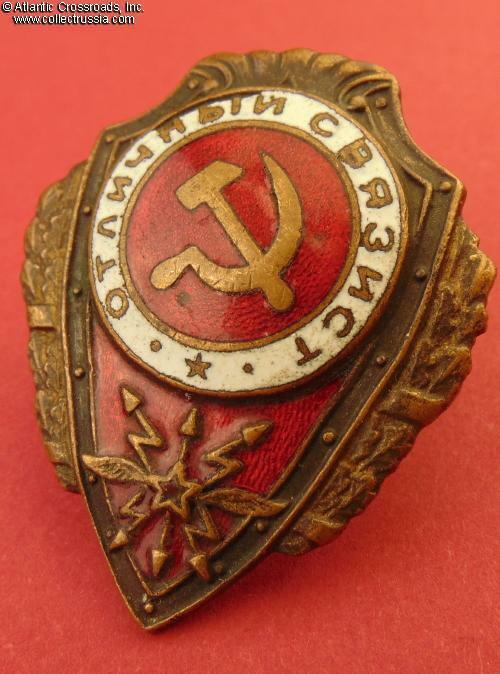 /See "Breast Badges of the Red Army, 1941-1945", p. 110, fig. 4/.